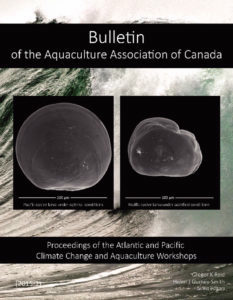 The Aquaculture Association of Canada mourns the loss of founding member Dr. Neil Bourne. 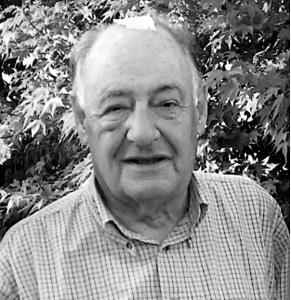 Neil was a long time supporter of the association, including being a past president and the first recipient of AAC’s Lifetime Achievement Award. You can read more about Neil’s extensive research career here. Our condolences are extended to Neil’s family and close friends. The Aquaculture Association of Canada mourns the loss of a friend, colleague, and mentor. Joe Brown passed away suddenly at his home in Shoe Cove, Newfoundland, on Sunday, September 4, 2005. A Past President of AAC, Joe was a colorful, vibrant, and cheerful staple to every AAC conference and other aquaculture-related meetings, both in Canada and worldwide. His professional relationships were all sincere, illustrated by the large network of colleagues that also called him a friend. His contributions to aquaculture are countless and outstanding, all the while he was one of the most approachable – and recognizable – figures in his field. In addition, Joe’s commitment to students was unprecedented. The Ocean Sciences Centre, Memorial University, and the aquaculture community have lost a dear friend. Joe will always be remembered with a smile. Donations may be made to the Dr. Joseph Brown Scholarship Fund Memorial University of Newfoundland (specify other: Dr. Joseph Brown Scholarship Fund). Our condolences are extended to Joe’s family and close friends.